"Halfbeak" is the code name for HTC's upcoming Android Wear powered smartwatch? 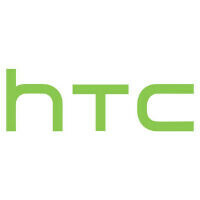 An HTC smartwatch has been rumored just about more than any other device over the last two years. Last year, HTC seemingly decided not to offer an intelligent timepiece. But a few months later, the rumor mill had restarted the cycle all over again. And that leads us to today's rumor that HTC is indeed working on an Android Wear powered smartwatch code named "Halfbeak," like the fish. Most smartwatches using Android Wear have a fishy code name. The watch is expected to feature a round 360 x 360 resolution display. Add to that the support for Android Wear, and well, that's about all the rumor mill has for us at this time. HTC has sent out invites for an event to be held on September 29th. We expect to see the HTC One (A9) aka the HTC Aero unveiled that day. But the invites say "The World best meets the best" which seemed to hint that the company would be introducing two high-end handsets on the 29th. Perhaps that second device will be a smartwatch instead. Lol half beak is even a sucky code name. Uhuh??? I think HTC itself need to fire all of its employee. They are no longer productive.